Enjoy the best inspirational, motivational, positive, funny and famous quotes by Anna Paskevska. Use words and picture quotations to push forward and inspire you keep going in life! 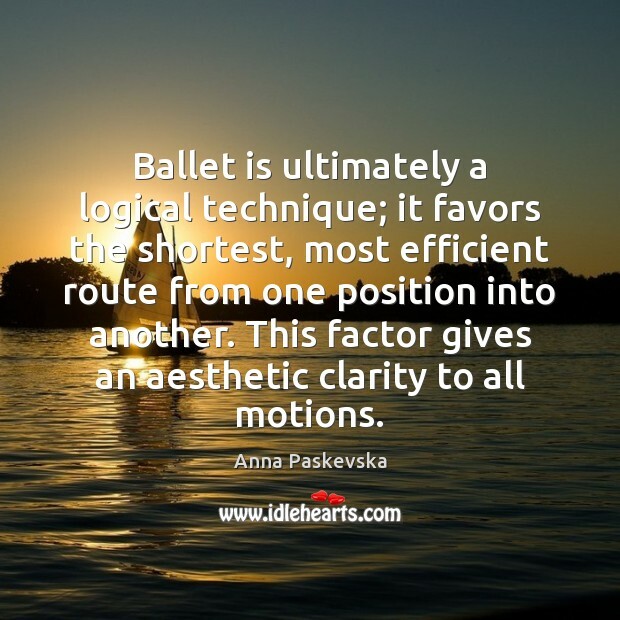 Ballet is ultimately a logical technique; it favors the shortest, most efficient route from one position into another. This factor gives an aesthetic clarity to all motions.